So that’s the second painting of 2018 done and dusted! Ok I know it isn’t that much of an achievement considering it’s February. But I consider it a big win in my books. I don’t even have as much to say about this painting as I did for the first one. I think because I’m painting three canvases as part of a set, once I’ve decided on the first one the other two just have to follow suit. Knowing that I wanted to keep the colour palette the same across all three, I wanted to play around with different leaf shapes and plants to add interest to the paintings that way. The last painting if you saw that post, was more of a fern, and ended up looking a little feathery for my liking. 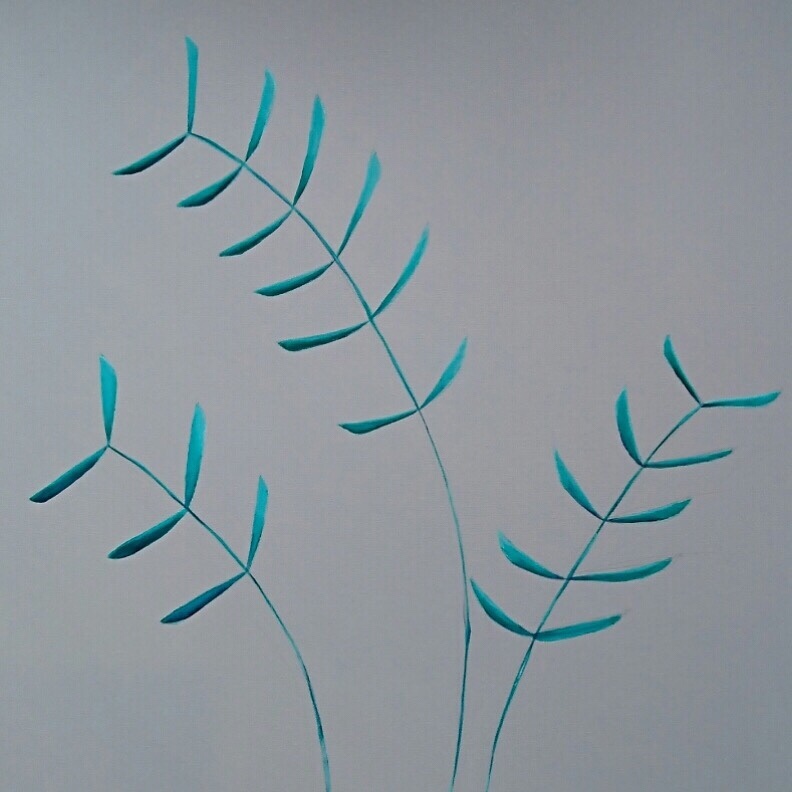 This painting was meant to feel lighter, more space around the leaves and using more of the mint colour helped to lift and keep this simple design from becoming too heavy or silhouette driven. Overall I’m feeling good about how they look together, I kinda knew that as soon as that first canvas had another leaf painting next to it, that the feather feelings I was getting from it would be pushed back. Now just to device on the third leaf to complete this trio. I’m leaning toward another tropical leaf, I find the shapes really interesting and I think I need a ‘bulky’ leaf to carry off these two nicely.